This easy, level, signposted walking trail is ideal for those who love to release stress in nature. 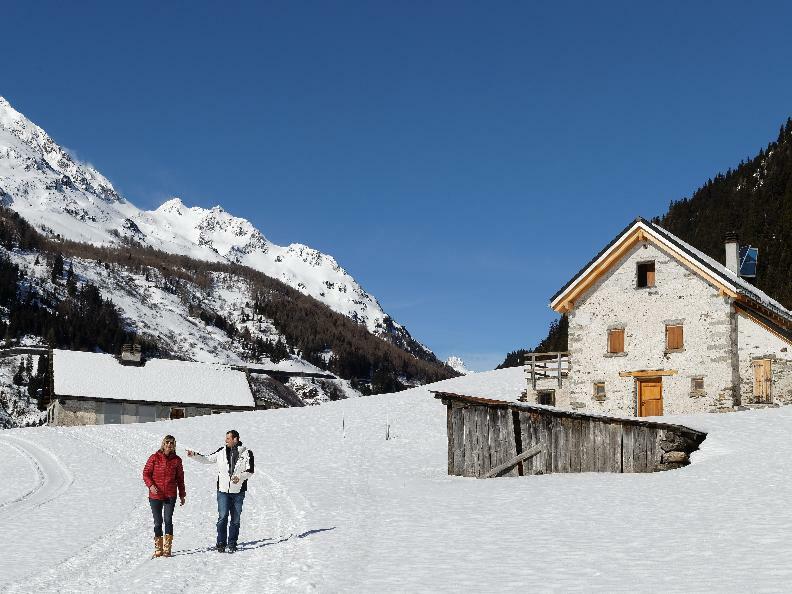 In Campra, those who love walking on the snow can discover the Nordic side of the sun-drenched Blenio Valley. 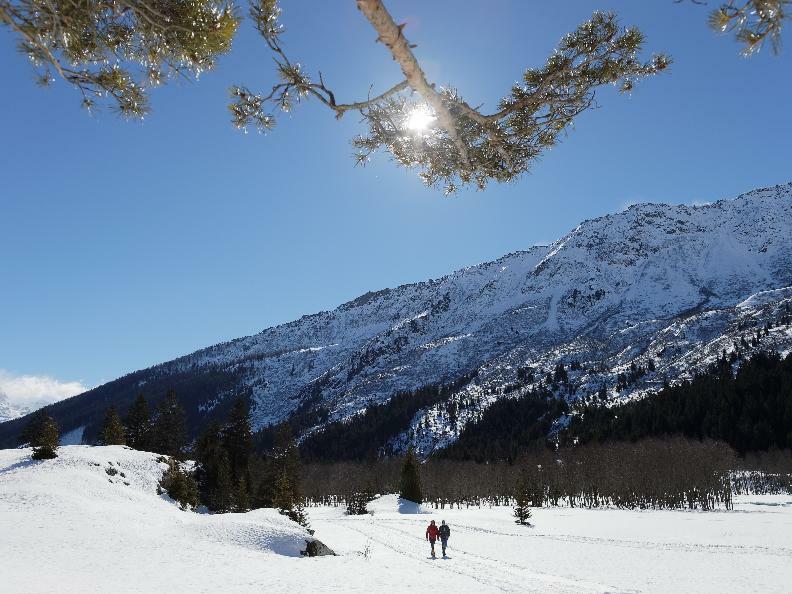 The Nordic Centre of Campra, highly appreciated by cross-country skiing lovers, leads to discover the Lucomagno region through charming alder and spruce forests. The Brenno river, slowly flowing by the walking trail with its many charming pools of water and meanders, adds to the beauty and enchantment of the atmosphere. Some typical buildings, scattered in the white landscape, show the importance of agriculture in the so-called Valle del Sole (Sunshine Valley). 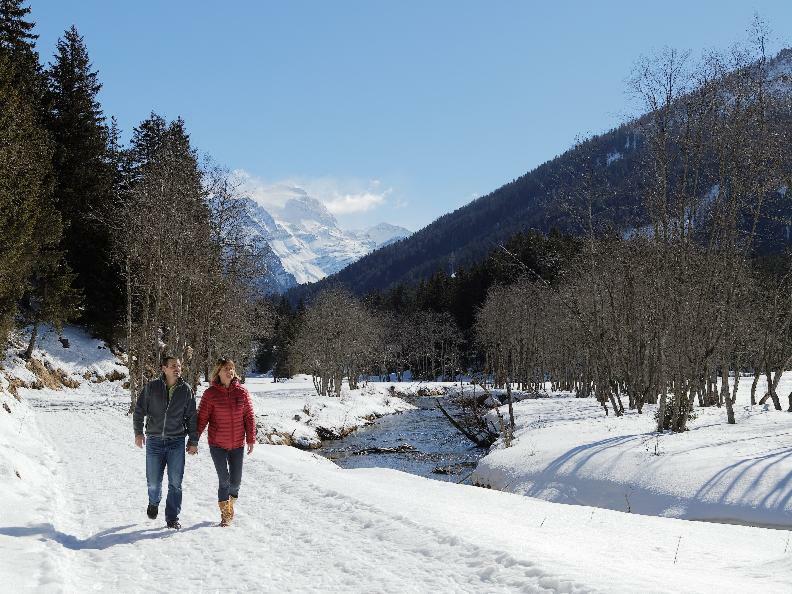 Nature lovers will especially welcome the opportunity of discovering an area to be discovered “on tip toe”. The plain of Campra is located in a marshy area of great beauty and of national importance, which comprises a holm, swamps, peat bogs and other biotopes. It is mandatory to stay within the signposted path.